Good evening. 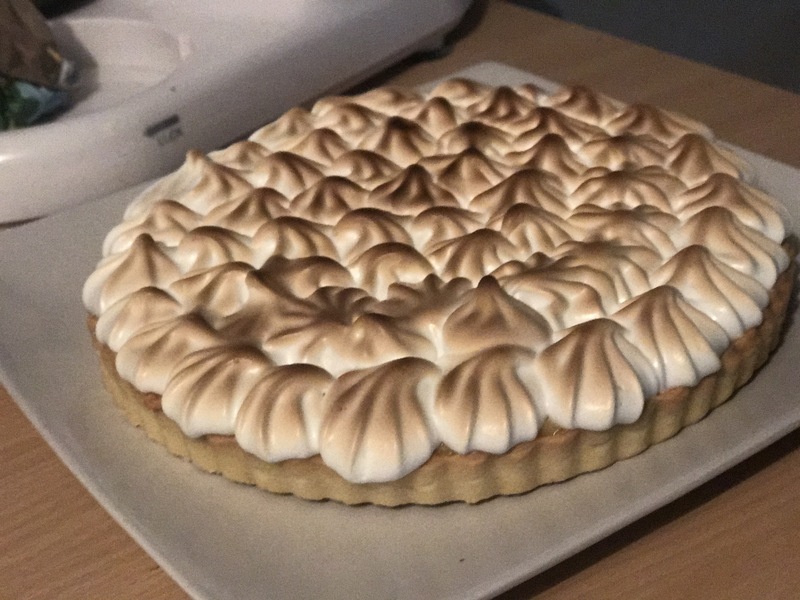 After a long day I decided to relax and make a second lemon meringue. 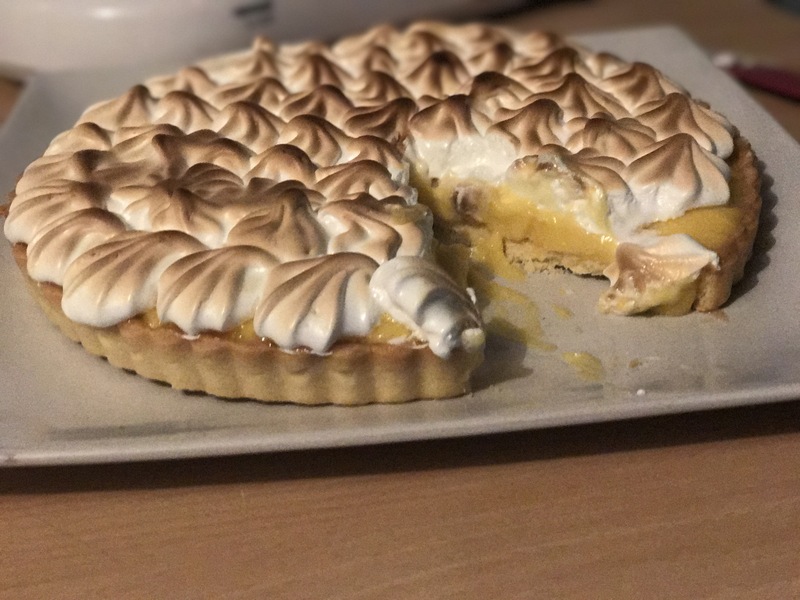 This time I only had 100ml of the lemon juice and made the rest up with Lime juice and I think it’s worked it’s more tart this time. The meringue I browned for longer while Its been given a lightly burnt look I think it’ll feel better when eaten. This time I also did a sweet pastry instead of the Sablee pastry. My mate is just having a slice and we’ll soon find out how it is. And his verdict is. It’s better than the first one the pastry is solid. And it’s sweet yet sour all in one. 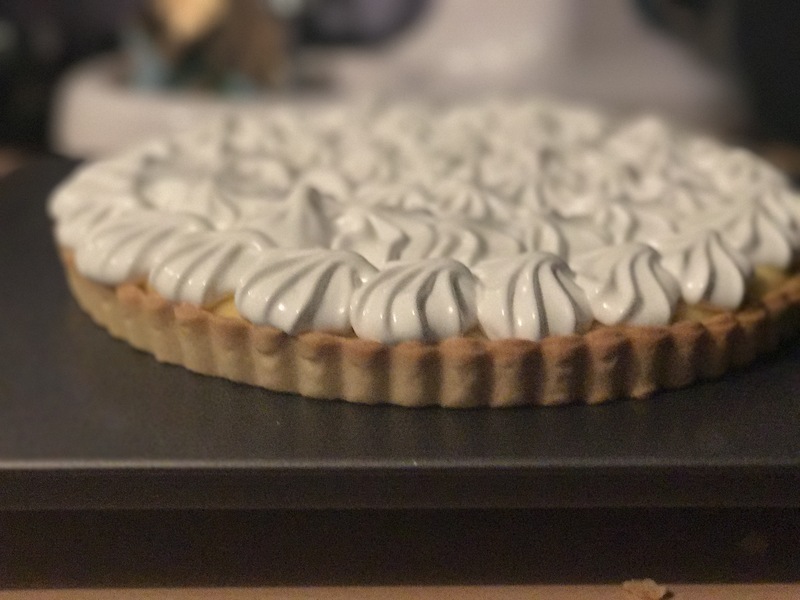 There are a few things I want to perfect; to obtain a lemon filling that is almost set like jelly but runny like custard now I don’t know if that’s possible but maybe different cooking times will achieve this. And secondly a more stable meringue. If it’s possible.